Home » Blog » Bicycle Ball – We did it! 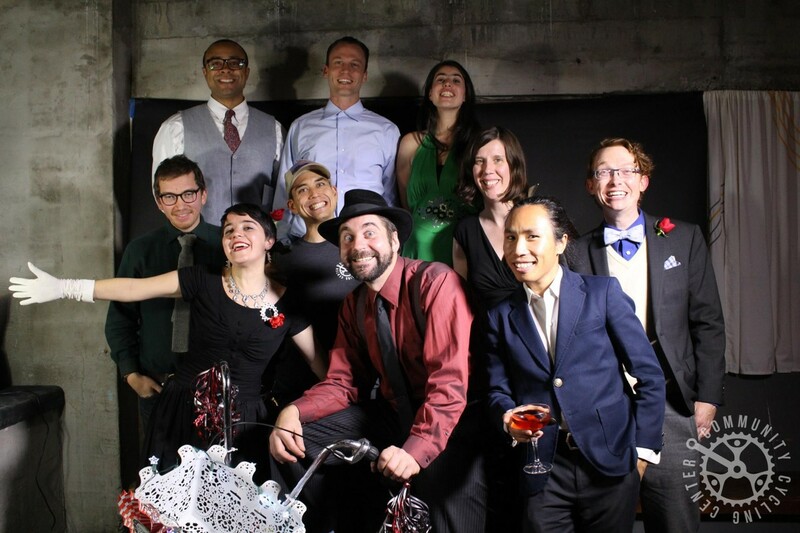 Bicycle Ball – We did it! There’s nothing like having an excuse to swing dance in fancy clothes while sipping a Manhattan on a Wednesday night. Over 100 of you showed up for our second annual Bicycle Ball. Because of your support, we are kicking off our Winter Campaign with over $4,200! That’s enough to fund a whole season at the bike repair hub in New Columbia (wow!). So, pat yourselves on the back, because we know you dug deep and we sincerely thank you. The Winter Campaign is our effort to raise $167,000 this season. As a non-profit running many community programs, from the Holiday Bike Drive to our Earn a Bike program, events like the Bicycle Ball make a significant impact. As you’d imagine, every single donation matters! We can’t forget, our volunteers helped set the night’s mood. Whether running the photo booth, working the door, or photographing the evening, we’re grateful for our volunteers who showed up in crisp-cool style. Not to mention, we owe a huge thank you to our Winter Campaign sponsors, Lumberyard Bike Park, North Street Bags, and our lead Winter Campaign sponsor Lam Research Foundation. As you can tell, we have big goals ahead of us and that’s because we believe in the life-changing power of bicycles. You can help us build community and reach our Winter Campaign goal by making a gift today. Plus, if you donate to us through the Give Guide, you’ll receive awesome perks (like a ¿Por Que No? taco, Stumptown coffee, and Salt & Straw ice cream) for supporting a local non-profit. More photo booth photos can be found on the Facebook album here. Thanks to our lovely volunteer, Aaron Parecki, for running the photo booth!